It is a legal requirement to ensure that all fire doors are kept shut in the event of a fire to prevent its spread throughout the building. 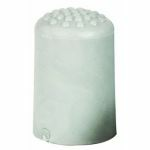 This minimises the risk to anyone in the building and helps to maintain a safe exit route. To be able to legally keep fire doors held in an open position in normal circumstances, requires a fire door retainer that will release the door automatically in the event of a fire allowing it to return to the frame under the pressure of the door closer. One method to do this is through the use of a Dorgard fire door holder. 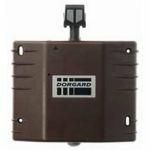 A Dorgard door retainer will allow the door to close in the event of a fire, preventing the spread of the fire. 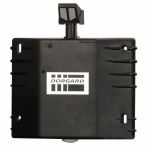 The Dorgard is fitted at the bottom of the fire door and can lock it in the open position by pushing a plunger down. 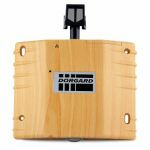 When installing the Dorgard you will need to sound the fire alarm a few times so that it can 'learn' what the fire alarm sounds like. Once it has mastered the sound of your fire alarm it will 'listen' for that sound. 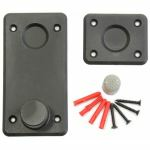 It also poses significant advantages for young, elderly and disabled people who struggle to open heavy fire doors on their own. It is extremely popular for domestic and commercial environments because it can be installed just under 5 minutes with easy fitting instructions hassle free! 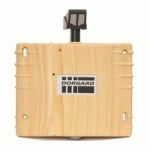 What's unique about us here at AC Leigh is that we offer Dorgard fire door holders in a variety of colours to match the style of your door, ranging from beech, black and red. If you are looking for a cheaper alternative then why not check out our electromagnetic door holder range which are linked into the building's fire alarm system electronically!